What I recall best about THE MONSTER AND THE GIRL -- other than it being a relatively rare Paramount horror movie, of course -- is the sterling, even inspiringly loyal performance by Skipper the Dog. I kid you not. I am frequently resistant to the appeal of many celluloid thespian hounds, but Skipper here had the right stuff. To say more about this would tend to spoil the picture's convoluted plot for those who have never seen it. I wasn't aware this was finally out on dvd. Is it one of those Amazon MODs -- I can never get an updated list of these -- or is it part of a different series? 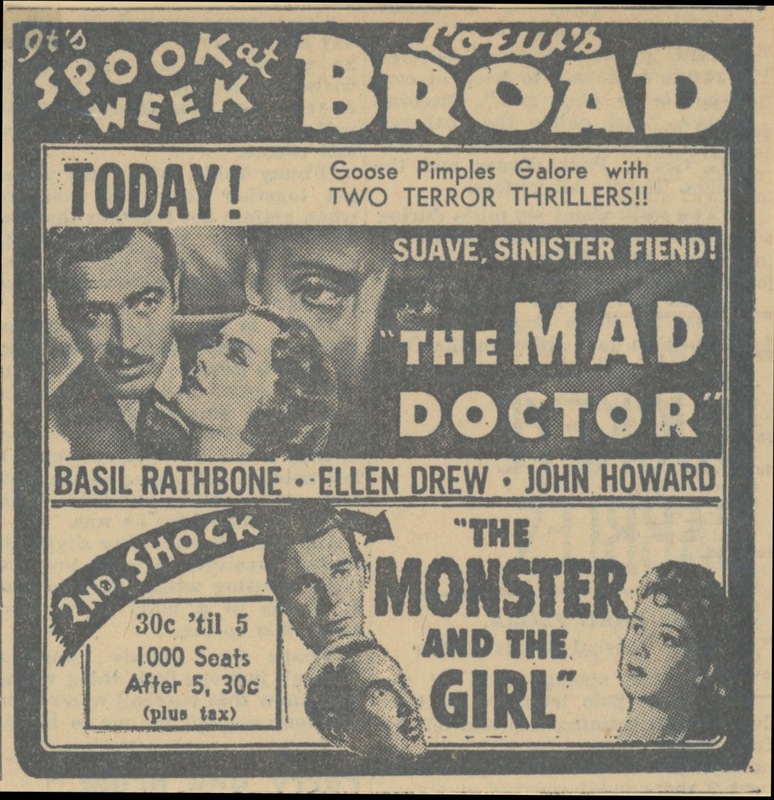 I remember seeing THE MONSTER AND THE GIRL as a mid-afternoon weekday filler back in the 60's. Even my youthful, less-than-worldly brain doped out the trade Ellen Drew was plying. Always thought it a shame mad doctor Karloff tackled all the really noble scientific pursuits (artificial heart, artificial blood, suspended animation, cure for polio, etc.) 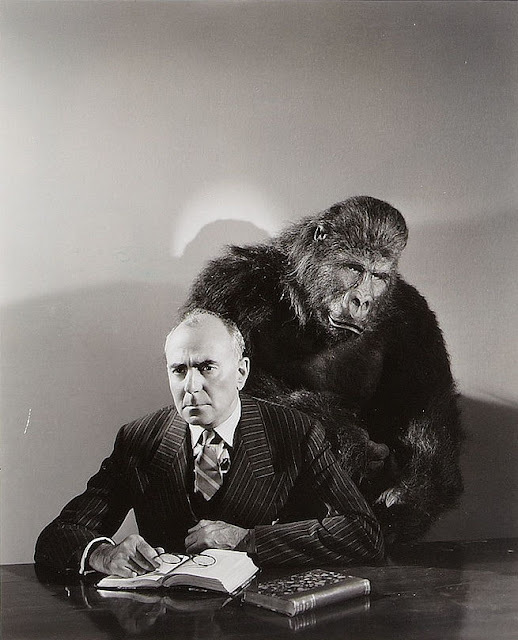 while Zucco and Lugosi got stuck forever changing out brains between men and men in gorilla suits. Love the ad for the Ellen Drew double feature. In fact, love Ellen Drew... and more specifically, Ellen Drew's mouth. A tad bigger and closer to the nose than those of average 1940's starlets. She was pretty wonderful, always a big plus to the production at hand whether the director was Preston Sturges or Bill Castle.